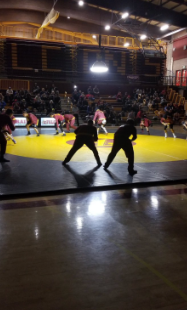 The wrestling team beat the Mountain View Thunder in their meet on Wednesday, January 9 with a score of 35-32. The meet was really close until Walmer had a last second pin in the third round of the last match. 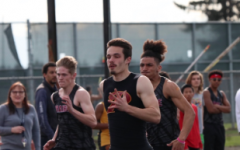 “ Honestly without them all cheering for me I never could have done it, and that made it feel so much better.” Walmer said. He also added how nobody quit throughout the match and how his teammates showed perseverance.” No one Quit. Even the guys that lost made sure not to get pinned so that Mountain View didn’t get as many points.” The team is stronger than ever and are ready for the Clark County Invite on January 12th.